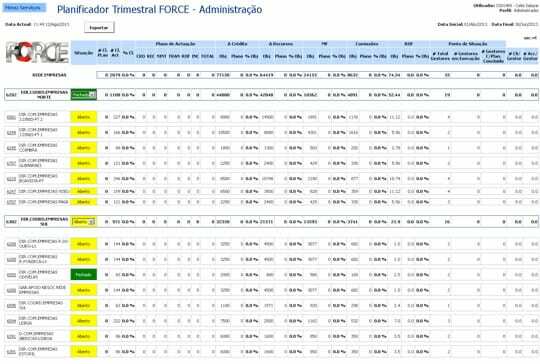 Using a web tool known as “Caravela – Attracting Clients”, developed by Infosistema and already used by the network to build and manage new client portfolios, providing 6 planning features. Luís Silva, Head of Business Network Support. 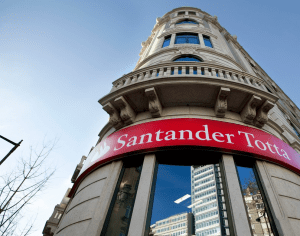 Santander Totta, with about 1.8 million customers and more than 700 branches spread across the country, holds a share of approximately 12% of the Portuguese banking system. Planning and fulfillment of objectives in aggregated form with the follow-up and control for the entire hierarchy, including drill-down information. 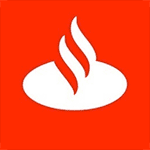 In a difficult economic climate, in which client management traditional models have to be renewed in the banking sector, Santander Totta felt the need to streamline communication and coordination with its commercial network of managers, improving its ability to set goals and to achieve them. Network planning platform with very good usability and efficiency, to ensure easy adhesion and manager time-saving. 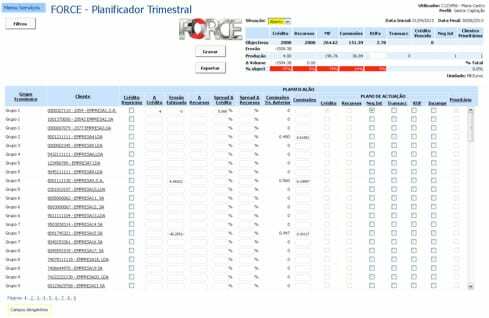 The solution defined by ISBAN and Infosistema consisted in the implementation of automated processes with routines extracting customer information and objectives of each manager to a Web planning tool, accessible on the Intranet by commercial managers. This Web tool then synchronizes management planning with the Data Warehouse (DW) and Trade Agenda. The dashboards needed to control processes and hierarchical validation are made available online. Management information reports are extracted from the DW by batch processes, thereby allowing monitoring the activity of the manager. 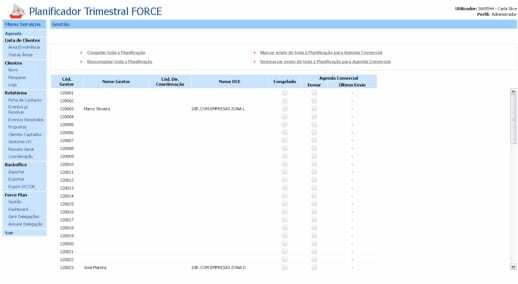 The Web application known as “Caravela – Attracting Customers“, developed by Infosistema and already used by the network to build and manage new client portfolios was used, as the platform for the provision of new planning features. Summary table of the overall objectives of the manager, updated online for immediate verification of deviations of the objectives by planning the timing in that quarter by the manager himself. Possibility to export the manager’s planning, as well as the dashboards, in Excel files for personal treatment. The results of the system reached all the objectives proposed, the new system, the management reports and the Planner were very well received by the entire Companies Network representing a significant advance in terms of planning (first and foremost), implementation and follow-up of the commercial activity of the commercial teams and consequent effectiveness in commercial objectives. Systematic business standardization creating unique reports and metrics for the entire commercial network of Companies. Reduction in errors and exceptions, with greater systematization and loyalty.